Fill out the Registration form with your details. An e-mail will be immediately sent to your e-mail address confirming your registration. You will be automatically logged in. Now, select the course you want to participate in. If you have already selected a course, you will be returned to the main course page. If you are prompted for an "enrollment key," use the one that was provided to you (special mailing or offer). This will "enroll" you in the course. You can now access the full course list. From now on you will only need to enter your personal username and password (in the form on this page) to log in and access any course. 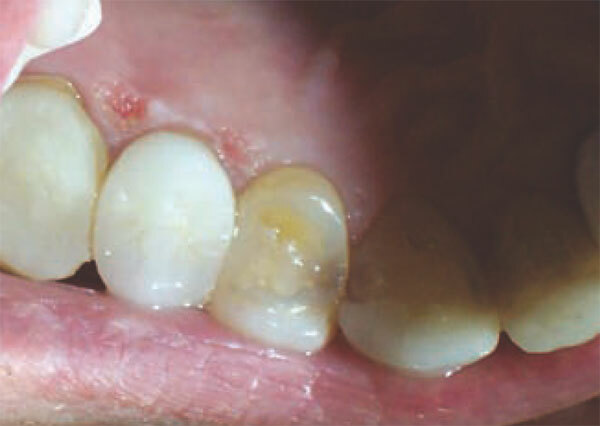 Effective management of gingival tissues in restorative dentistry poses a challenge to practitioners. Many methods and materials are available to dental professionals to manage tissue. This article will demonstrate the use of an Er,Cr:YSGG laser as an effective, minimally invasive technology to manage soft tissue during restorative procedures. The term laser is an abbreviation for light amplification by stimulated emission of radiation. The stimulated emission theory was first postulated by Albert Einstein and describes the manner in which lasers produce light energy. The light produced by a laser is monochromatic, highly focused, and of a specific wavelength. Laser systems are composed of an active medium, which may be a solid or a gas; an external power supply; an optical resonator; a cooling system; a control system; and a delivery system. Lasers are named by their active medium. The active medium of an Er,Cr:YSGG laser is erbium, chromium, yttrium, scandium, gallium, and garnet. The active medium of an Er:YAG laser is erbium, yttrium, aluminum, and garnet. In both of these lasers, the active medium is a solid. In contrast, the active medium of a CO2 laser is a gas. When the active medium of a laser is pumped with energy, monochromatic light energy of a specific wavelength is emitted from the active medium and transferred to the target tissue via the laser’s delivery system. Laser energy can be delivered via an articulated arm, hollow wave guide, or an optic fiber. In the case of the Er,Cr:YSGG laser, energy is delivered to the targeted tissue via an optic fiber to a handpiece, is reflected by a mirror, and passes through a sapphire or zirconium tip. Lasers exhibit specific properties depending on their position in the electromagnetic spectrum. Most lasers produce light energy that is found in the visible and infrared part of the electromagnetic spectrum. The wavelength of the Er,Cr:YSGG laser is 2,780 nm, which places this laser in the mid-infrared part of the electromagnetic spectrum. The energy produced by the Er,Cr:YSGG laser demonstrates good absorption by water and, to a lesser degree, hydroxyapatite.1-3 Because all dental tissues contain water, the Er,Cr:YSGG laser is useful for many dental procedures. Enamel contains approximately 3% water and dentin contains approximately 12% water.4 Bone and cementum have a slightly higher water content compared with dentin, approximately 15%, and soft tissue has the highest water content, greater than 70%. The water contained in enamel, dentin, cementum, bone, and soft tissue absorbs the energy produced by the Er,Cr:YSGG laser, and the result is ablation of the target tissue. Less laser energy is required to ablate soft tissue than enamel. Managing soft tissue during restorative procedures is a challenge that dental practitioners encounter on a daily basis. The restoration of class V lesions and gingival retraction for crown-and-bridge impressions can be some of the most challenging dental procedures. Traditionally, with class V lesions gingival-retracting rubber-dam clamps isolate the cavity preparation and guard against contamination by saliva and blood during the restorative phase. Gingival flap surgery in conjunction with a gingival-retracting rubber-dam clamp also has been described in the dental literature as a way to manage soft tissue and minimize or eliminate contamination from crevicular fluid or blood.5 In the case of impressions for crowns and bridges, the two-cord retraction technique is widely used. By contrast, the removal of soft tissue to access caries or for gingival troughing before impressions can be performed using laser energy with little or no bleeding, minimal tissue trauma, and reduced postoperative pain.11-12 The dental literature contains many cases illustrating the use of the Er,Cr:YSGG laser in soft-tissue procedures, such as oral papilloma removal, fibroma removal, gingival troughing for impressions, and the elimination of gingival pigmentation.12-16 Each article reports that patients did not complain of postoperative pain. One study compared the use of the Er,Cr:YSGG laser to the CO2 laser in laser-assisted uvulopalatoplasty for the treatment of snoring.17 This study used the number of days it took patients to return to a normal diet and the number of days that patients took pain medication as an indication of recovery from surgery. The patients who had their surgery performed with the Er,Cr:YSGG laser returned to a normal diet after 4.5 days vs patients in the CO2 laser group, who took 8.6 days. Additionally, patients in the Er,Cr:YSGG laser-treated group used pain medication for 4.1 days after surgery vs patients in the CO2 laser-treated group who used pain medication for 10.1 days. Patients whose surgery was performed with the Er,Cr:YSGG laser recovered from surgery sooner than patients treated with the CO2 laser. When used to remove soft tissue, laser energy is more precise than a clamp or a scalpel because laser energy can be delivered to the tissue in a more controlled manner. The reduction in tissue trauma results in decreased postoperative pain. A 28-year-old woman presented with an existing composite restoration in tooth No. 22, which also exhibited recurrent caries and a midfacial sulcular depth of 3 mm. A dark area showing through the marginal gingiva suggested subgingival caries (Figure 1A View Figure). Wavelength-specific laser protective eyewear was placed on the patient as well as everyone present in the treatment room. An Er,Cr:YSGG laser (Waterlase MD, Biolase Technology Inc, Irvine, CA) was used to remove the failing composite resin at a setting of 4.0 W, 25 Hz, 30% water 70% air, H mode with a G4 tip. The composite was removed without injected anesthesia (Figure 1B View Figure). The gingival tissue was dried with gauze and a 20% lidocaine, 4% tetracaine, and 2% phenylephrine topical anesthetic (Tac 20% Alternative, Professional Arts Pharmacy, Lafayette, LA) was applied to the tissue. Adequate anesthesia was determined by touching the tissue with an explorer. Removal of gingival tissue to expose the subgingival caries was accomplished using a T4 tip at a setting of 1.0 W, 50 Hz, 7% water 11% air, S mode. The gingivectomy did not cause the tissue to bleed (Figure 1C View Figure). The remaining caries was removed using the Er,Cr:YSGG laser at a setting of 3.5 W, 25 Hz, 30% water 70% air, H mode using a G4 tip. 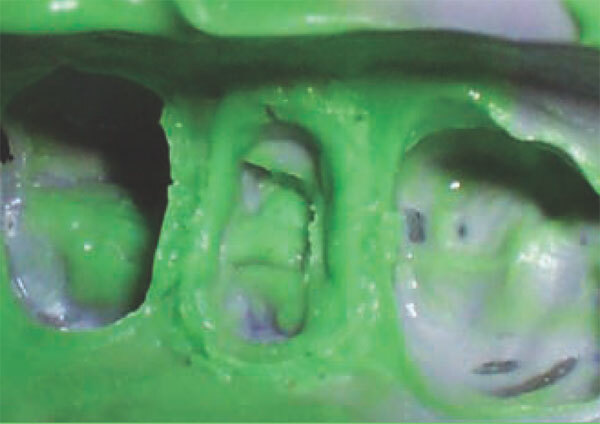 After caries removal (Figure 1D View Figure), the tooth was restored using the total-etch technique with Etch ‘N’ Seal® (Den-Mat Corp, Santa Maria, CA), Tenure® Quik (Den-Mat), and Herculite® XRV (Kerr Corp, Orange, CA) in Vita shade A2 (Figure 1E View Figure). 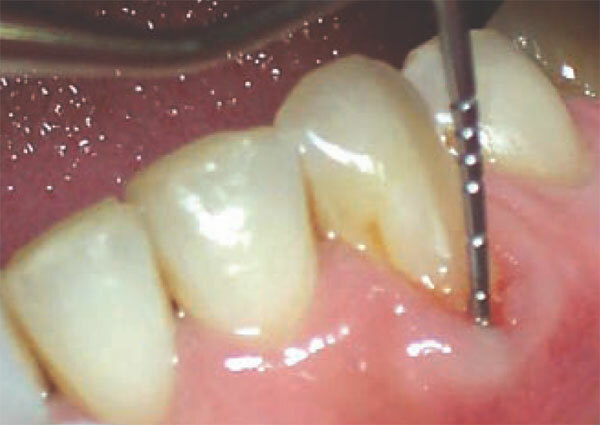 To the author, the gingival trauma from finishing and polishing the restoration with ET® burs (Brasseler USA, Savannah, GA) in a high-speed handpiece appeared greater than during the removal of the gingival tissue with the laser. Although the tissue trauma from finishing and polishing was not significant, it demonstrates that the laser can be more precise than rotary instruments. 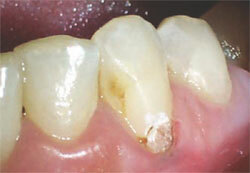 Fourteen months after treatment, the tissue surrounding tooth No. 22 was healthy, with a midfacial sulcular depth of 2 mm and an attachment level of 1 mm (Figure 1F View Figure). If the postoperative sulcular depth was < 2 mm, an osseous crown lengthening would be indicated to restore biologic width. This procedure also could be performed with the Er,Cr:YSGG laser but would require injected local anesthetic. 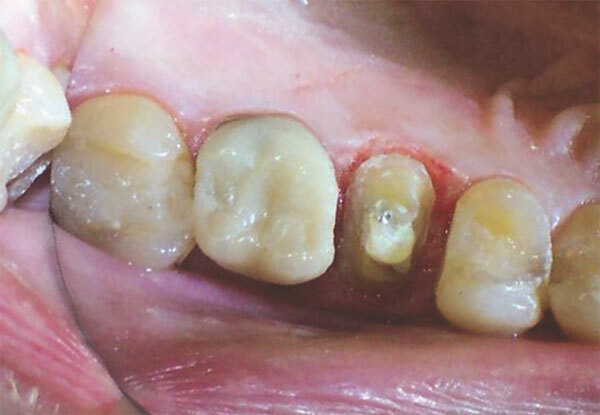 A 46-year-old man presented with tooth No. 4 requiring full coverage after endodontic therapy. Wavelength-specific laser protective eyewear was placed on the patient and everyone present in the treatment room. Tooth No. 4 was prepared for full coverage using a diamond bur in a high-speed handpiece without injected anesthetic. Instead of placing gingival retraction cord, the Er,Cr: YSGG laser was used to perform gingival troughing with a T4 tip at a setting of 1.0 W, 50 Hz, 7% water 11% air, S mode. For comparison, the T4 tip has a diameter of 400 µm; size 1 retraction cord is approximately 1 mm in diameter. 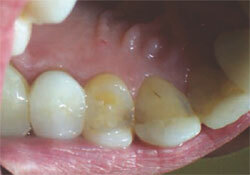 Tac 20% Alternative was applied to the gingival tissues before gingival troughing for maximum patient comfort. After preparation and gingival troughing with the Er,Cr:YSGG laser (Figure 2A View Figure), an impression was made for the final porcelain restoration (Figure 2B View Figure). When the Er,Cr:YSGG laser is used for gingival troughing, the laser energy is delivered parallel to the tooth with a lower power setting than would be used to remove enamel, dentin, or bone. At a follow-up visit 17 months after treatment, tooth No. 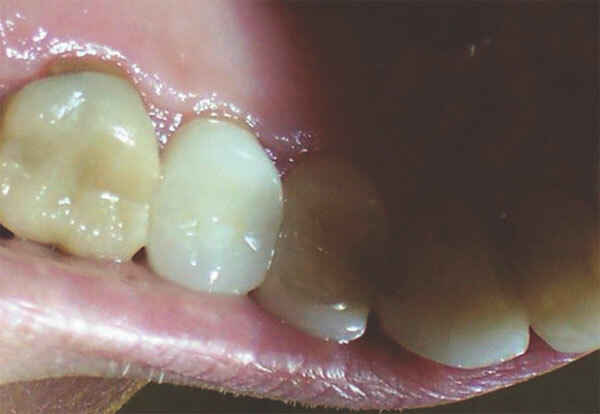 3 exhibited subgingival recurrent caries on the lingual that caused the tissue around it to have a less than optimum appearance (Figure 2C View Figure). 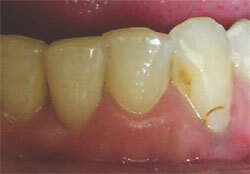 After caries removal was completed, a provisional crown was placed on the tooth. Three months after treatment, the appearance of the gingival tissue around tooth No. 3 improved because the caries had been removed. However, the lingual papillae of tooth No. 4 developed slightly hyperplastic keratinized tissue from wound healing (Figure 2D View Figure). This redundant tissue was removed, thinned, and reshaped to a more optimum architecture using the Er,Cr: YSGG laser. Tac 20% Alternative was applied to the gingival tissue for optimum patient comfort. A T4 tip at a setting of 1.0 W, 50 Hz, 7% water 11% air, H mode was used to reshape the gingival tissue (Figure 2E View Figure and Figure 2F View Figure). As demonstrated in the cases presented, the use of an Er,Cr:YSGG laser is an effective, minimally invasive method to accomplish the goal of soft-tissue management for various restorative procedures. In this author’s experience, patients reported little to no postoperative discomfort compared with conventional tissue-management techniques, such as retraction clamps, retraction cord, or gingival flap reflection with a scalpel. Patients may be more motivated to have regular dental visits if a source of dental anxiety, postoperative pain, can be reduced or eliminated. The author has no financial interest in any companies or products mentioned in the article. The author wishes to thank Dr. Gail Gerard Childers, a periodontist who maintains a private practice in Marlton, New Jersey, for his assistance. 1. Eversole LR, Rizoiu IM. Preliminary investigations on the utility of an erbium, chromium YSGG laser. J Calif Dent Assoc. 1995;23(12):41-47. 2. Eversole LR, Rizoiu IM, Kimmel AI. Pulpal response to cavity preparation by an erbium, chromium: YSGG laser-powered hydrokinetic system. J Am Dent Assoc. 1997;128(8): 1099-1106. 3. Hadley J, Young DA, Eversole LR, et al. A laser-powered hydrokinetic system for caries removal and cavity preparation. J Am Dent Assoc. 2000;131(6):777-785. 4. Arends, J, Ruben JL, Inaba D. Major topics in quantitative microradiography of enamel and dentin: R parameter, mineral distribution visualization, and hyper-remineralization. Adv Dent Res. 1997;11(4):403-414. 5. Meraner M. Soft tissue management for difficult cervical restorations. Gen Dent. 2006;54(2):117-120. 6. Sohn W, Ismail AI. Regular dental visits and dental anxiety in an adult dentate population. J Am Dent Assoc. 2005;136(1):58-66. 7. Kellam SA, Smith JR, Scheffel SJ. Epinephrine absorption from commercial gingival retraction cords in clinical patients. J Prosthet Dent. 1992;68(5):761-765. 8. Forsyth RP, Stark MM, Nicholson RJ, et al. Blood pressure responses to epinephrine-treated gingival retraction strings in the rhesus monkey. J Am Dent Assoc. 1969;78(6): 1315-1319. 9. Hatch CL, Chernow B, Terezamy BT, et al. Plasma catecholamine and hemodynamic responses to the placement of epinephrine-impregnated gingival retraction cord. Oral Surg Oral Med Oral Pathol. 1984;58(5):540-544. 10. Chiche G, Pinault A. Esthetics of Anterior Fixed Prosthodontics. Chicago, Ill: Quintessence Publishing; 1994:204. 11. Rizoiu IM, Eversole LR, Kimmel AI. Effects of an erbium, chromium: yttrium, scandium, gallium, garnet laser on mucocutaneous soft tissues. Oral Surg Oral Med Oral Pathol Oral Radiol Endod. 1996;82(4):386-395. 12. Scott A. Use of an erbium laser in lieu of retraction cord: a modern technique. Gen Dent. 2005;53(2): 116-119. 13. Boj JR, Hernandez M, Espasa E, et al. Laser treatment of an oral papilloma in the pediatric dental office: a case report. Quintessence Int. 2007;38(4):307-312. 14. Boj JR, Poirier C, Espasa E, et al. Eruption cyst treated with a laser powered hydrokinetic system. J Clin Pediatr Dent. 2006;30(3): 199-202. 15. Walinski CJ. Irritation fibroma removal: a comparison of two laser wavelengths. Gen Dent. 2004;52(3): 236-238. 16. Azzeh MM. 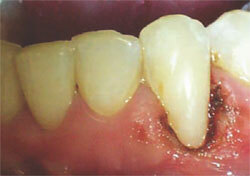 Treatment of gingival hyperpigmentation by erbium-doped:yttrium, aluminum, and garnet laser for esthetic purposes. J Periodontol. 2007;78(1):177-184. 17. Pavelec V, Polenik P. Use of Er,Cr:YSGG versus standard lasers in laser assisted uvulopalatoplasty for treatment of snoring. Laryngoscope. 2006;116(8):1512-1516. Figure 1A Preoperative view of tooth No. 22 with a failing composite restoration and a midfacial sulcular depth of 3 mm. 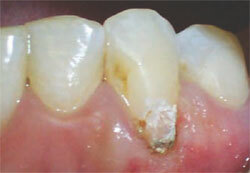 Figure 1B The composite resin was removed from tooth No. 22 with an Er,Cr:YSGG laser. Figure 1C After gingivectomy, the subgingival caries were accessible. Figure 1D Tooth No. 22 after caries removal. Figure 1E Completed restoration on tooth No. 22. Figure 1F Fourteen-month postoperative view of tooth No. 22. Figure 2A Tooth No. 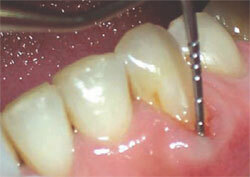 4 prepared for full coverage and gingival troughing. Figure 2B Impression of the prepared tooth. 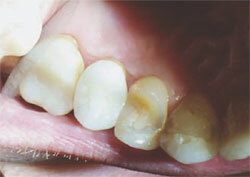 Figure 2C Seventeen-month postoperative view of the final crown on tooth No. 4. Note the less than optimal gingival tissue surrounding tooth No. 3. Figure 2D Twenty-month postoperative view. Note the improved tissue surrounding tooth No. 3 and the redundant tissue surrounding tooth No. 4. Figure 2E Immediate postoperative view after the removal of the redundant tissue. 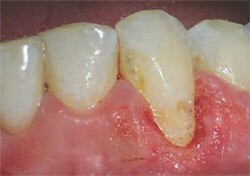 Figure 2F Healed gingival tissue, 11 days after tissue removal.